4.0 out of 5 based on 46 bloggers and 6 commenters. 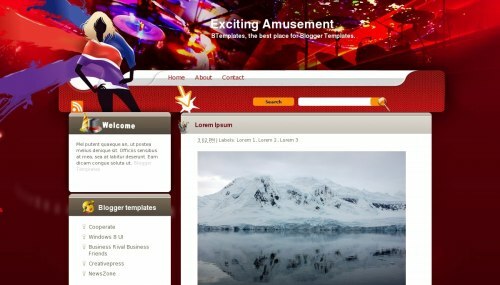 Exciting Amusement is a free blogger template with 2 columns, right sidebar, fresh look, girly looking and vectorial elements. i think it is a best theme for blogs. i like it very much. thank you so much. Wao it’s great i get this templete and i will update soon.